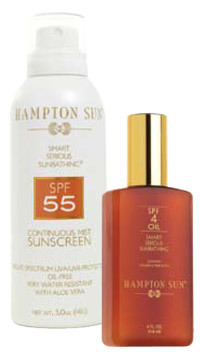 Hampton Sun has a line of Sunscreen spray oils with SPF 4 and 8 and a gel spray with SPF 15. They also have a lotion at SPF 30, as well as a Continuous Mist Sunscreen at an SPF of 55. They are made with a variety of vitamins and natural ingredients such as aloe vera, ginger, cucumber extract and grapeseed. Along with natural products, they use effective sunscreen ingredients such as oxybenzone, homosalate and octisalate, which mostly protect from UVB. 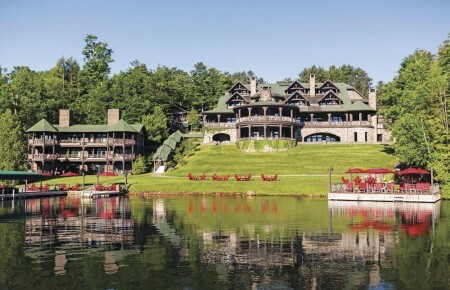 These products are luxurious, as their name suggests, yet perform. The Continuous Mist Sunscreen is my favorite. The scent is like no other you’ve experienced in sun protection, and you can even use it on your face (but be sure to spray it on your hands and apply—do not spray on your face). About $35 for 4 oz. 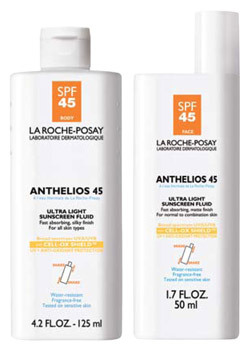 La Roche-Posay Anthelios XL Lait SPF uses Mexoryl, which is one of the most powerful blockers of wrinkle-causing UVA rays, while most protect mainly from UVB. It is unscented and comes in ranges from SPF 15-60. Non-greasy, water resistant and unscented, it seems many dermatologists consider it the best sunscreen around. Prices vary, as do sizes. Ingredients in all sunscreen products have their fans and detractors. You should always do your own research before putting anything on your skin. What’s right for you isn’t right for everyone. A great website for this is cosmeticsdatabase.com.